There are at least five artists with this name: (1) John Towner Williams (film score composer) (2) John Christopher Williams (classical guitarist) (3) John Williams (Irish musician) (4) John Williams (blues/jazz guitarist) (5) John Knowles Williams (experimental/indie) --------------------------------------------- (1) John Towner Williams (born February 8, 1932) is one of the most widely recognized composers of film scores. As of 2006, he has received forty-seven music-related Academy Award nominations, an accomplishment surpassed only by Walt Disney. (1) John Towner Williams (born February 8, 1932) is one of the most widely recognized composers of film scores. As of 2006, he has received forty-seven music-related Academy Award nominations, an accomplishment surpassed only by Walt Disney. Early scores and compositions are credited as Johnny Williams. Williams is best known for heroic, rousing themes in adventure and fantasy films. This includes some of the highest grossing films of all time, such as the Star Wars movies, the Superman movies, Jaws, E.T. The Extra-Terrestrial, Raiders of the Lost Ark, Jurassic Park, and the first three Harry Potter movies. 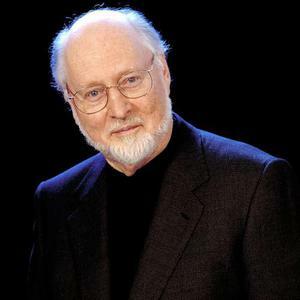 His richly thematic and highly popular 1977 score to the first Star Wars film was selected by the American Film Institute as the greatest American movie score of all time. Five of his film scores won Oscars. His long career has also included many sensitive dramatic scores (such as Schindler's List, Saving Private Ryan, and Munich) and quirky character studies (like Catch Me If You Can, the theme for which makes extensive use of jazz, perhaps in homage to Mancini's famous music for The Pink Panther). Also noteworthy are his recent collaborations with Yo-Yo Ma and Itzhak Perlman on the score for Memoirs of a Geisha, as well as Williams' other more experimental concert works. Williams has composed the scores for every Steven Spielberg movie, with the exception of The Color Purple (scored by co-producer Quincy Jones) and Duel (Spielberg's first feature film). While skilled in a variety of twentieth-century compositional idioms, his most familiar style may be described as a form of neo-romanticism, influenced by his predecessors and their use of large-scale orchestral music. Korngold (and other Hollywood Golden Age composers), is clearly evident in many of Williams' most famous works. Anyone who has watched the Olympics on television has heard Williams' "Olympic Fanfare and Theme," parts of which (especially the last fifteen seconds of the fanfare) receive extensive playtime every four years. Williams also composed "The Mission," the worldwide-known theme from NBC News. (2) John Christopher Williams is a classical guitar player. Born in Melbourne, Australia, on 24 April 1941, to an English father (Len Williams) and an Australian-Chinese mother, Williams was taught initially by his father. At the age of twelve he went to Italy to study under "The Maestro," Andr&eacute;s Segovia. Later, he attended the Royal College of Music in London, studying piano because the school did not have a guitar department at the time. Upon graduation, he was offered the opportunity to create such a department. He seized the opportunity and ran it for the first two years. Williams has maintained links with the College (and with the Northern College in Manchester) ever since. Williams is best known as a classical guitarist, but has explored many different musical traditions. He has collaborated with Julian Bream and Paco Pe&ntilde;a and was a member of the fusion group Sky. He is also a composer and arranger. Williams has commissioned guitar concertos from composers such as Stephen Dodgson, Andr&eacute; Previn, Patrick Gowers, Richard Harvey, and Steve Gray. He has also worked with composers from his native Australia, including Phillip Houghton, Peter Sculthorpe, Ross Edwards (composer), and Nigel Westlake, to produce guitar works that capture the spirit of his homeland. He enjoyed a worldwide hit single with his recording of Cavatina by Stanley Myers, used as the theme tune to the Oscar-winning film The Deer Hunter (1979). The piece had originally been written for piano, for another film ten years earlier, The Walking Stick (1970) but re-written for guitar and expanded by Myers at Williams' invitation. In 1973, Cleo Laine wrote lyrics and recorded the song "He Was Beautiful" accompanied by John Williams. A year later, it was a top-five UK hit single for Iris Williams (no relation). At the invitation of producer Martin Lewis he created a highly acclaimed classical-rock fusion duet with celebrated rock guitarist Pete Townshend of Townshend's anthemic "Won't Get Fooled Again" for the 1979 Amnesty International benefit show The Secret Policeman's Ball. The duet was featured on the resulting album and the film version of the show ? bringing Williams to the broader attention of the rock audience. The relationship with Lewis led to Williams' classical-rock fusion band Sky being invited to give the first-ever rock concert to be held at Westminster Abbey ? a benefit concert for Amnesty that Lewis produced in February 1981. He is visiting professor at the Royal Academy of Music, London. Williams and his artist wife Kathy Panama reside in London and Australia. John Williams is internationally regarded as one of the foremost players of Irish music today. With five All-Ireland titles to his credit, John is the only American-born competitor ever to win first place in the "senior concertina" category. His additional talents on flute, button accordion, bodhran, and piano distinguish him as a much sought after multi-instrumentalist in the acoustic scene around the world. Born and raised on the Southwest Side of Chicago, John spent his summers during college on the Southwest coast of Ireland in his father's village of Doolin, Co. Clare. Like Chicago, Doolin became a major musical crossroads for John and countless other local and international musicians to meet and exchange music. Gigging every night in the pubs of Doolin and Lisdoonvarna soon led to performances in Galway, Cork, Dublin, Belfast, Paris, Britanny, Zurich, and New York City (bio http://www.johnwilliamsmusic.com/bio.htm). A blues/jazz guitarist in Seattle, Washington, whose music is available at Magnatune.com (bio http://magnatune.com/artists/john_williams). An experimental/indie musician. Music is available at sweetnuthin.letsneverdie.net/Music/My_Recordings/ or www.myspace.com/JohnKWilliams.